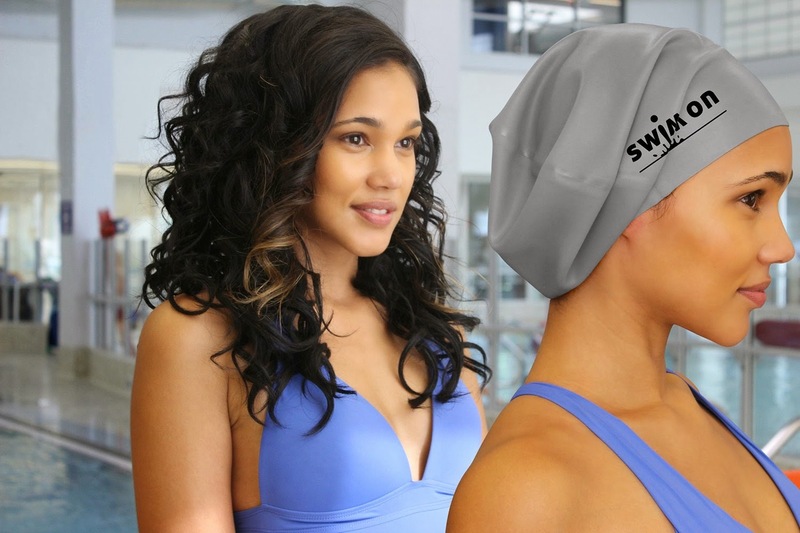 Swim cap provides comfortable fit over long or thick hair & extensions - Protects your expensive hair style! Our best bathing/swimming cap for a perfect fit! Choose your ladies large swim cap from 9 fashionable colors including black, blue, red, & more! 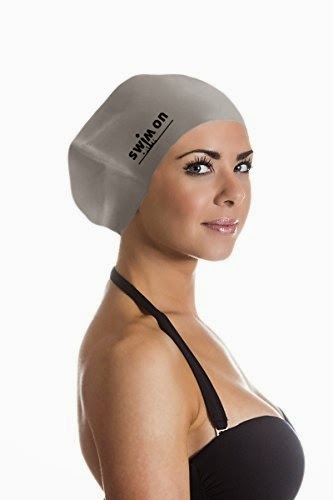 This extra-large ladies swim cap is designed for women who want to enjoy swimming in the ocean or pool, but prefer not to risk damaging their expensive, salon hair style at the same time. It's made from soft silicone so it's Eco-friendly, and won't irritate the scalp. It's perfect for dreadlocks, longer, more voluminous hair styles, weaves & color-treated hair. Enjoy swimming activities without the risk of damaging your hair. Comes in a fashionable assortment of 9 colors including red, green, black, blue, champagne, purple, wine, grey & brown. I was so happy to get to try this Swim Cap for long, thick or curly hair by Swim On. My daughter and Grand Daughters all have long thick curly hair that will not fit under a traditional swim cap, so this is perfect for them. My daughter likes to use it in the shower or the bath if she has already styled her hair. 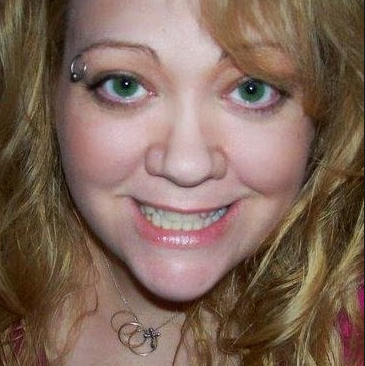 It really is nice to be able to sit in a hot tub or go swimming and not get your hairstyle ruined or worse yet, not go in at all for fear of getting your hair wet. I love that it fits great yet it is not tight around the hair and does not wreck your style while keeping the water out. This would make a nice gift for anyone who has long thick or curly hair. I recommend it. 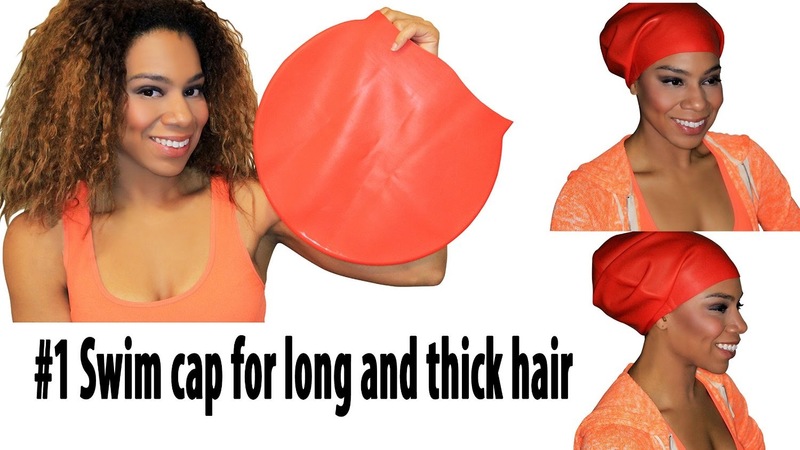 list of best swim caps Women's swimming cap is perfect for long or thick hair, extensions, weaves, or color treated hair This extra-large ladies swim cap is designed for women who want to enjoy swimming in the ocean or pool, but prefer not to risk damaging their expensive, salon hair style at the same time. review best above ground pools will help you to pick up right swimming pools. Here is the list of above ground pools under $600, visit to see how it works.